Hi readers. It has been awhile for numerous reasons but the main one being I didn’t really know what to share or even how to share it. The past several months have been challenging. I had to go back and reread my last postpartum update, which was 5 months ago, because I had forgotten exactly what I had shared. My hope when I created this little space for myself was to be authentic and real. Can I just tell you for a moment how hard that can be sometimes. When I began blogging it was super easy to write and share because I didn’t think anyone I actually knew in real life was going to read it. I am not saying this to say I am a different person than I portray on the internet. Trust me. I am exactly the same. But thinking that people I actually know might visit my blog has at times left me feeling apprehensive to post. It is so easy to get caught up in yourself and the day to day tasks in life. Sometimes it can all seem never-ending. The piles of clothes waiting to be cleaned or put away, dirty dishes from the meal you just made, cluttered countertops with bills awaiting to be paid, and the stuff that has accumulated in your house that needs to be maintained can almost feel suffocating at times. After Maisie was born I was feeling so awesome. I was happy to have our little girl home, my body was recovering great from pregnancy, Caden was transitioning nicely into his role of big brother, and Josh was able to take a few shifts off from the fire station. Overall life was feeling really great. I can’t even really pinpoint to you when I started to notice the anxiety creeping into my days. I can’t pinpoint when it started because it had been there all along. Hovering in the background waiting to creep into every fiber of my being. Not really a problem or even anything noticeable to anyone else but more of an internal battle I was struggling with everyday. Thoughts of death, dying, sickness, and disease began to overtake my life. I worried about absolutely everything. Anything horrible that I read about or heard about that was happening to someone else would immediately send my mind racing with the possibility that those horrible things were going to happen to me and my family. If you have never struggled with anxiety be so thankful. It is debilitating and robs you of so much joy. I would be feeding my beautiful newborn baby, listening to my husband and son play together in the other room and be terrified that something awful was going to happen to one of us that would break apart our family. When your thoughts are constantly focused on the negative the world starts to look a little less brighter. These untrue negative thoughts were slowly becoming my new truth. My mind was beginning to believe what I was thinking was actually going to happen. All of this came to an abrupt boil 8 weeks after Maisie was born. 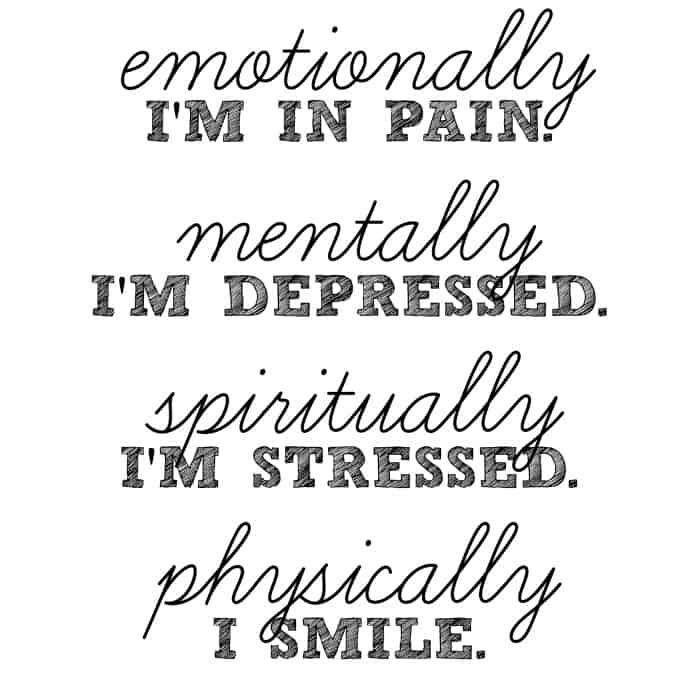 I started having panic attacks that were triggered from several medical issues that I was dealing with at the time. I was worried, frustrated, and frankly annoyed that I couldn’t get a better handle on my emotional state. My thoughts were spiraling out of control and I could not for the life of me reign them back in. Josh was on shift (his shifts are 24 hours) and I called him crying. I felt like I was going to pass out because I couldn’t breathe. My heart was beating so fast and everything I could think of to calm myself down was not working. Thankfully he was able to come home and my parents came over to the house to watch the kids. We then proceeded to drive back to the fire station so he could hook me up to the monitors and see what was going on. Of course by the time we got to the fire station my heart rate had returned to normal and I felt like a crazy person for even calling my husband to come home. The single best thing that happened from this event was talking on the phone later that night to the wife of Josh’s friend/firefighter co-worker. Thank you, Sara, so much for taking the time to talk to me! Sara is a Labor and Delivery nurse and it was this conversation that led me to my doctor to talk about getting treatment for postpartum depression and anxiety. Until this moment I didn’t really think that I was dealing with anything postpartum related. Everything came on so gradually. Sometimes it takes a person from the outside looking in to be able to give you the encouragement you need at just the right moment. If you are struggling with depression or anxiety please know you are not alone. Check back Thursday. I will be sharing the details on my treatment and how I am currently doing. Thank you for taking the time to read and feel free to share this post. UPDATE: Thank you so much for your support, comments, and shares! Be sure to read my follow up post on how I am doing now and details on my treatment. Glad to hear that you are now getting treatment. It does sneak up on us busy moms and many times we ignore or don’t “see” the signs until we hit that boiling point. I deal with anxiety once in awhile I have learned some of the triggers. I deal with the negativity part more than I care to admit one day leads to another and before you know it the whole reel in your head is all negative things and worry of what ifs and what could happen. Can’t wait to read more about your treatment and how you are currently doing. Thank you Shelley! I agree it is so important to know what triggers these thoughts. I also agree with how easy it is for your thoughts to spiral out of control. It is such a scary and lonely place to be. Thanks again for reading and your comment! I also went through post partum depression/anxiety, but I never really talked to a doctor or anyone about it. It was very mild, but I was beyond stressed and snuck up on me. I believe that my job was not helpful, and became much happier when I was off for the summer, and then got even better after I began a new job. I’m an anxious person to begin with, so all of those hormones didn’t help. I can’t wait to hear more. I am so sorry you experienced it also. I am glad you are doing better now. Hi Tamara! Reading this made me tear up as I am going through the exact same thing. I have struggled with anxiety for years now, however; just a few months ago I started to have the same thoughts as you – a lot about death and something happening to my husband or me. I am a firewife as well and we have an 8 month old, so it seems like anything I hear or see that is bad, sad, or traumatic, I automatically obsess about it happening to us. 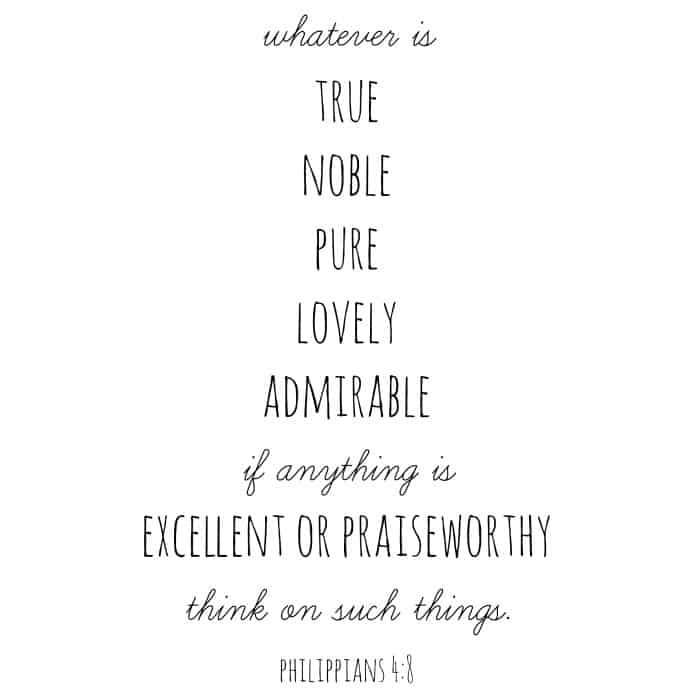 I have been pretty good about shaking these negative thoughts off by reminding myself that God keeps a watchful eye over us and covers me, my husband, daughter and our pets with protection and safety. I feel so depressed when these thoughts flood my head, but I have to tell you reading your post made me feel so much better knowing I am not alone and that this is a real thing. I look forward to hearing about your treatment and what is working for you. I am thinking of going to talk with my OB about this as well. Thank you for being so brave and sharing. Hang in there – this too shall pass. XO! Nikole – I’m Tamara’s mom and just wanted you to know that I’m praying for you. Thanks Debbie! I appreciate it and I cannot tell you how grateful I am for Tamara posting this today. I so needed to hear this and it is so comforting to know that I am not the only person who is going through something like this. I truly feel God put her blog on my path as I had just became pregnant when I stumbled across it and have enjoyed reading her advice on being a mom, fitness, etc. I can relate to her in so many ways with the love of fitness, eating good, being a fire wife, and now a new mommy. Her blog has been a blessing to me and I appreciate her sharing her story. I am so proud of my daughter for writing this post and believe with all my heart it will be used to help others. If you are the family support in a situation like this – be an encouragement to seek outside help, be there to watch children for appointments, bring dinner over and of course listen with a loving ear and heart knowing that you can only do so much to bring healing to your loved one. It takes a lot of COURAGE to ask for outside help but remember the Lord says Be Strong and Courageous. He is with you wherever you go. I love you, Tamara and Josh – thank you for loving my girl through this – it’s not easy for the spouse at times. My heart aches for you that you had to go through this post=partum sea of emotions. But I’m elated that Sarah was able to reach out to you and “recognize” some symptoms and lead you to help. God put her there, for you, to tell you that you’re NOT ALONE. Cling to Him, to the truth that I know is engrained in every fiber of your being. He will NEVER fail you – even when you’re in the deep dark tunnel of despair. He will never abandon you. Thank you for sharing your experiences, feelings, etc with others. You may help others who find themselves in the same condition. I’m not a mom (unless you count being a dog mom), but I know anxiety and your mind spinning out of control. I will keep you in my prayers, as well as your family. God be with you and bless you and keep you. Thank you for your openness, this is not talked about enough. Thank you Gina. I understand why it isn’t talked about now that I have experienced it. It is a very vulnerable thing to admit that you can’t control your emotions or thoughts. Thanks for sharing. This is so needed out there. I had postpartum depression and not everyone understands. You are welcome. Thank you for reading. So sorry you experienced it also. You are right, it does take time, and it has gotten better. I struggled with this after I gave birth to my oldest son. Life circumstances were majorly stressful and this birth just rocked my world. As a pediatric nurse practitioner, I see a lot of moms going through this now. We know so much more and it’s more acceptable to talk about it. Hang in there. Things will get better. Oh wow! I bet you see so many Moms dealing with this. Thank you so much for commenting. I appreciate you what you wrote. Tamara, Thank you so much for sharing this. Though I didn’t share the same thing, a couple weeks ago I shared some very personal information about my family and what we are going through with my son. I was terrified to hit “post”. I was terrified of what others would say. But I had the most positive feedback and support like I’ve never known. Sometimes we just have to be brave and hit “post” and the kindness os strangers is overwhelming and just what we need at the right time. So happy you were able to get help and hope you are doing and feeling better! Sounds like you have an amazing support center around you who love you so much! Elizabeth recently posted…#BRAGonDAD + a special happy birthday! Hugs, mama. I’m glad you’re getting help you need. I dealt with PPD after my first and have shared my experience with so many because it caught me off guard. Thank you for sharing your story too. Postpartumprogress.com is a really great website. Tamara- I admire your courage to be so real and share your experiences with so many. All too often, I find women trying to do it all, to be it all. In a world of social media, between facebook and pinterest, I think many of us compare ourselves and try to live up to glamourized, unrealistic images. When it comes down to it, it’s not the number of likes you get for cute FB pictures, the places you go, or the brands you dress your kids in that count. What matters the most is what happens when no one’s watching. But when it comes down to it, it’s hard to just be real (especially when one’s reality includes postpartum depression and anxiety.) I pray your honesty and genuine heart touch those going though the same experiences. I work with women regularly as a Labor and Delivery Nurse. All too often, women feel alone, tired, down, defeated, struggling, anxious, nervous, guilty, broken, crazy, just not the same, dull, helpless, and unable to live up to expectations. No one should ever be embarrassed or ashamed of these feelings, nor should anyone have to go through it alone. I believe your story is one of hope and faith, and I pray it inspires others to be courageous and seek out help. Thank you again for sharing.